KariAnne Lane is responsible for BCE’s equity capital investments and investor relations. She oversees capital markets strategy and activities related to the firm’s investments including origination, structuring, and execution of equity investments for BCE’s Funds and Syndications. Prior to joining BCE in 2017, Ms. Lane was the Director of Transactions at CBRE Capital Markets for an investment sales team. She specialized in institutional multifamily assets throughout Southern California, and directed in excess of $2.1 billion in multifamily sales. Ms. Lane earned a Bachelor of Science degree in Policy, Planning, and Development from the University of Southern California, and an MBA from Chapman University. She is an active member of the Urban Land Institute, USC Alumni Real Estate Network, and the Chapman University Real Estate Association. 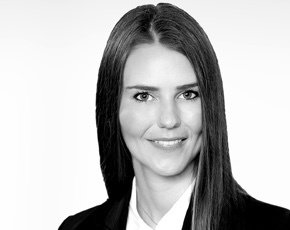 KariAnne oversees capital markets strategy and activities related to the firm’s investments.